Presented by Richard Morecroft, this excellent production gives an Australian perspective to World War One. Standing on a giant map of pre-war Europe, Richard provides a background to the war and how it started.The video covers the moving story of Australians at Gallipoli and other Australian campaigns. Without glorifying war, the video examines the impact of WW1 on Australia. The web sites below have a wealth of information pertaining to your source study of WWI. Note that some are academic pages while others contain material that has not been peer-reviewed. 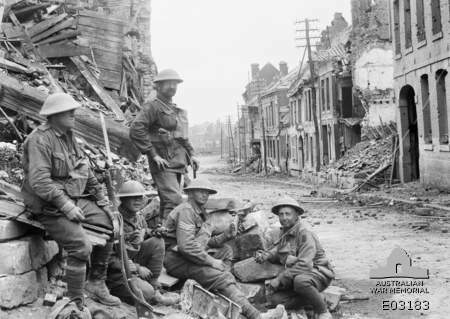 This website provides a summary overview of the First World War. Contains many links to other sites under the headings: The Path to War; The War; Resistance to War; Literary Responses, and The Aftermath. This collection draws on historical documents, film and sound available in Britain's National Archives and one of its leading museums. It starts from, but is not limited to, a British perspective on the war, and also aims to create a wider understanding of the global nature of the conflict and the profound consequences that resulted from it . by BBC. The causes, events and people of the conflict dubbed the 'war to end all wars'.